I think all artists go through periods where they are driven crazy by the work they are doing and that is certainly true of me. I have been working on several pieces, or actually they have been working on me, on my psyche that is, and I have finally been able to get clear about them. There are times when I don't know that a piece is complete and I mentally make and remake them. But enough about the angst. Here is my new work, two wall pieces, which are very different from the sculptural figures I had been making. I think living in Wisconsin and its shades of white winters has had an impact on the kind of work and material choices I have been making. I'm using all natural colored cotton, linen and silk and enjoying the subtle beauty of the fabrics. Falling Leaves is about 10 feet long and only 8 inches wide. 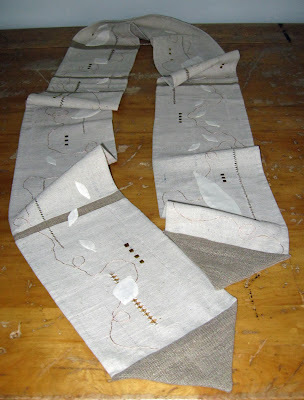 It can hang vertically or horizontally and has hemstitching, couching, applique and embroidery on linen. The leaves travel gently downward and a shiny thread helps trace their way. 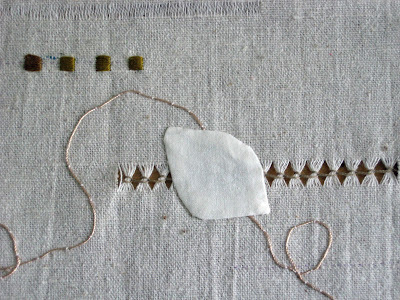 To break up the space I have inserted small darker pieces of linen all along the path. 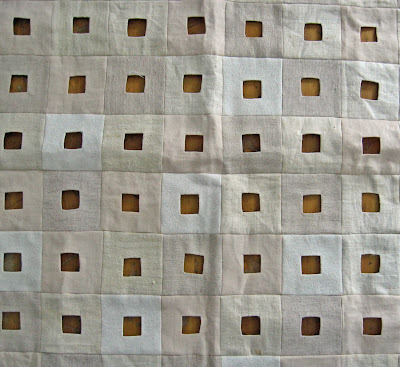 The second piece, which I haven't titled as yet, is made up of 100 squares in a 10x10 grid. 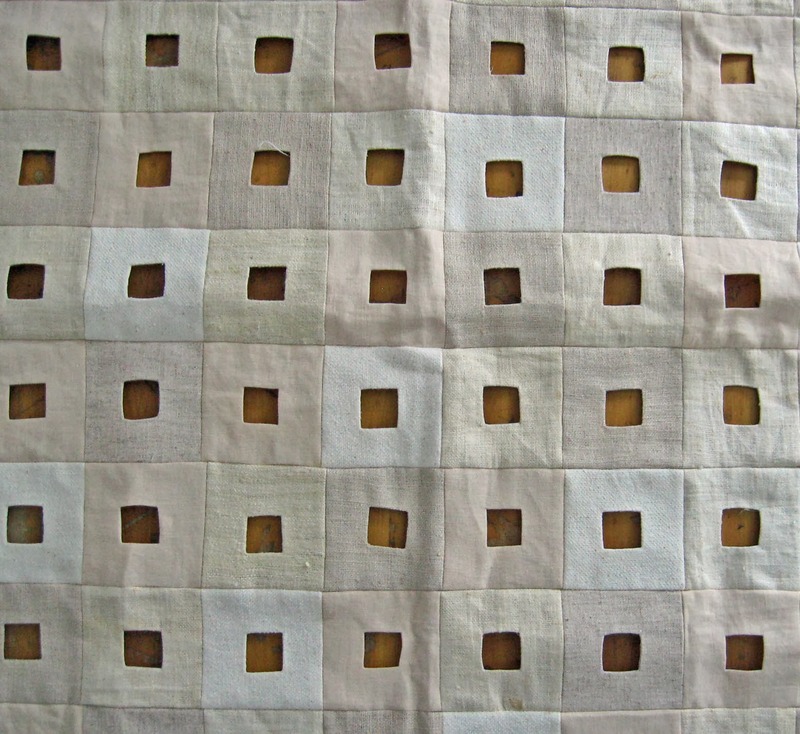 Each square has an opening that allows light and shadow play on the wall behind. While I am showing you this piece it isn't actually complete. I need to put a backing on it and a small binding around the edge. I got so excited when I decided it was finished I couldn't resist adding it to the post.